As a women’s life coach and hypnotherapist, I’ve dedicated my life to helping women transform their lives and live with a sense of purpose, passion and fulfillment. It’s been such a gift to be a part of this process. Each day I feel so connected to my life’s purpose. When I hear friends and family members groan about their jobs I truly can’t relate. Each day I wake up looking forward to meeting with women who want to live unlimited lives but just don’t know how to go about letting go of the blockages that are stopping them. That is where I come in. In 2007, I gained the confidence to found, Path Seekers Life Coaching and four years later added a hypnosis component to the practice and renamed my business to Path Seekers Life Coaching & Hypnosis. Disillusioned with cookie cutter approaches to coaching and hypnosis, I created the Pathway Process an innovative approach to life coaching, hypnosis and career coaching that helps women discover their true essence regardless of what trauma, challenge, or transition they are going through. Once women reconnect to their authentic selves they begin to live unlimited lives. Countless women have transformed their lives using this powerful system. 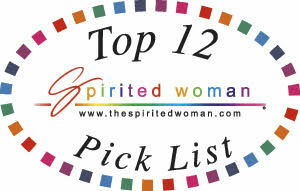 I’m am honored that Nancy Mills, founder of Spirited Woman has selected Path Seekers Life Coaching & Hypnosis to be on her Top 12 Pick List for 2017. She has created one of the leading women’s empowerment communities in the world. I’m brimming with gratitude that Nancy has recognized my heart felt commitment to empower women. Due to her recognition, Path Seekers Life Coaching & Hypnosis will gain more visibility and reach a larger audience of women who are ready to step into their power and become unstoppable in their desire to live life to the fullest. If you are a woman who is ready to live a more empowered life, don’t hesitate to contact me for a free 30 minute phone or Skype consultation.